The move drew sharp criticism from the Congress, who said the purchase of radio sets was a total waste of money. The party further tagged it as a 'political drama to misguide people'. Government said it wants to 'propagate positivity' among school children through the radio programme. Bhopal: In a move to facilitate the hearing of Chief Minister Shivraj Singh Chauhan's radio address 'Dil Se', an order was issued by the school education department in Madhya Pradesh to ensure the purchase of radio sets across schools. The government feels its decision is justified. In the second edition of his radio programme, Mr Chauhan on Sunday urged the youth to take resolve for building a new India free from terrorism, corruption, poverty, communalism, casteism and to stay away from games like Blue Whale. School education minister Deepak Joshi said "The idea is to inspire the youth, to propagate positivity and to communicate with children. When the PM, CM or a person like Amitabh Bachhan make an appeal, people are keen to hear them." "This is something which cannot be made mandatory, this is just cheap publicity" said Congress spokesman in Madhya Pradesh, K K Mishra. After a year of its announcement, Madhya Pradesh chief minister Shivraj Singh Chouhan started his radio chat show, 'Dil Se' in August. 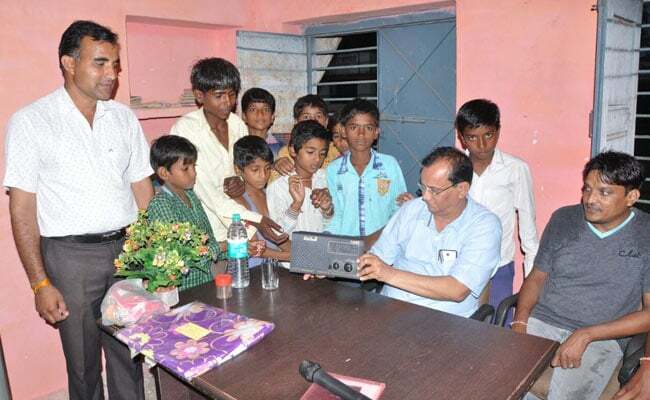 Following the chief minister's move, the school education department has directed all schools with boarding facilities to purchase radio sets. The move is likely to garner criticism as it would be difficult for the state to justify the expense, especially when it's running into a debt pile of over 2 lakh crores.